A "big and iconic" new statue is to be created in the former Anglo Saxon market town of Tamworth in Staffordshire which is set to combine contemporary art with the ancient past. Plans have been taking shape for the design of the new sculpture which will sit in the middle of a traffic roundabout just outside Tamworth's railway station. Consultations have been taking place with more than a hundred people about the shape and design of the landmark work of art that will welcome visitors to Tamworth as they step off the train. The 'Roundabout Art' project is one element of the Arts in Unusual Spaces initiative, funded by Arts Council England, which will see art in all its forms appearing in a variety of locations across the borough of Tamworth. 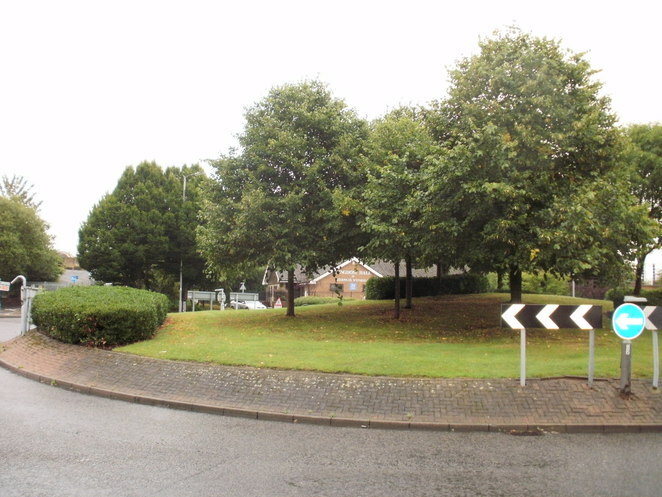 The roundabout sculpture is being jointly funded by Tamworth Borough Council, Arts Council England and the Tamworth Gateways Project - which aims to improve links to the town centre. Award-winning public artist and sculptor, Luke Perry, was commissioned by the local council to create a landmark sculpture for the Offa Drive/Saxon Drive roundabout outside Tamworth railway station. And the result of the public consultation was an overwhelming desire to theme the sculpture on the town's rich Saxon history. The Anglo Saxons first came to Staffordshire in the 6th century but it wasn't until 913 AD, once the Mercians had driven the Vikings out of the area, that a fortification was established in Tamworth on the site of what is now Tamworth Castle, a Grade I listed Norman castle built following the invasion of William the Conqueror. The castle still maintains its earlier link to the past by housing a permanent Anglo-Saxon display including pieces of the Staffordshire Hoard. 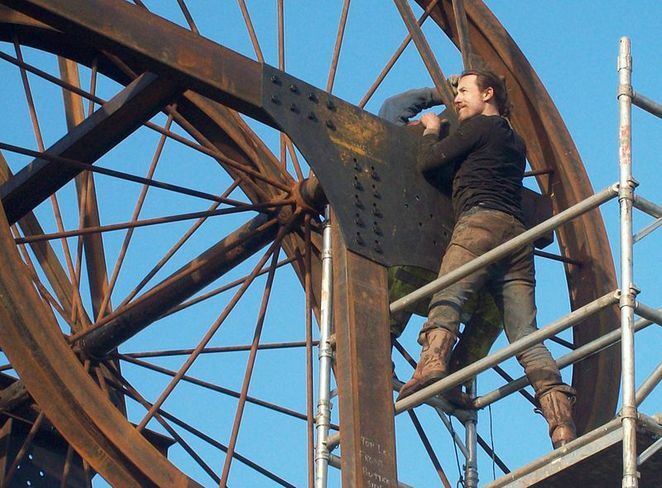 Sculptor Luke Perry, who is the director and chief artist of his non-profit company Industrial Heritage Stronghold, is known for his monumental sculptures, in particular those celebrating the heritage of the Industrial Revolution. Although ideas for the roundabout sculpture have not been finalised, Luke says the finished design is likely to be a 'big and iconic' figurative piece which reflects the town's Saxon history, but with an 'alternative, modern twist' that places it firmly in the 21st century. He says: "People are incredibly proud of Tamworth's rich history; including its Georgian history and its more recent industrial heritage, but almost everyone mentioned the Saxon links in some form or another. Although I can't say what the finished design will be as I'm not there yet, the concept I'm beginning to form is of a really beautiful piece of work reflecting that Saxon heritage. It will be a figurative piece, human in form, which people will identify as being incredibly 'Tamworth'. I want to create something big and iconic, yet simple in design. There was also a definite desire to have something with a bit of an alternative and modern twist. It would be very easy to make a regular piece of historical sculpture, but that's not what I do and it's not what people want. It won't be too off-the-wall, but I want to create something that sits well in the community, but also looks as if it is part of modern history, reflecting the fact that Tamworth is being invested in now, at this time, not 100 years ago. Luke will spend the coming weeks exploring the concept further with more in-depth academic research to corroborate the ideas put forward and to make sure any historical detail is accurate. He is hoping to move to design stage at the end of February when he will begin work on drawings and a scale model. Councillor Steve Claymore, Tamworth Borough Council's Cabinet member for Regeneration, said: "As a council, we have been working very hard to improve and regenerate Tamworth town centre and turn it into a real destination once more. The Gateways project is a crucial part of that and this sculpture has the potential to become a key landmark. Currently there's nothing to welcome people when they arrive in Tamworth by train. The ideas put forward are very exciting and the end result will hopefully be something that makes a real bold statement about the town and encourages visitors to explore it further."